Power of the 3rd House, A Well-placed Moon, Saturn-Jupiter Exchange: Pandit Shiv Kumar's Strengths! The heavenly 13-day classical music festival – Saptak, which is conducted between January 1-13 has already started in Ahmedabad and music enthusiasts from around the world will be attending it. During this festival, we shall be presenting some exclusive articles which will be discussing the highlights of the Horoscopes of various artists. Let us, through Astrology, try to get an idea of the greatness of these musicians! The first article in this series of Ganesha's excluives will be an Astro-Profile of Pandit Shiv Kumar Sharma – the resplendant genius and the pioneer and the architect of the phenomenon called the 'Santoor'! Very few people in this world would be able to set their sight on something and then achieve it with absolute style and class and then make it a cult, which would be regarded highly by millions the world over! Pandit Shiv Kumar Sharma is a special name in the world of music and especially Classical Music. 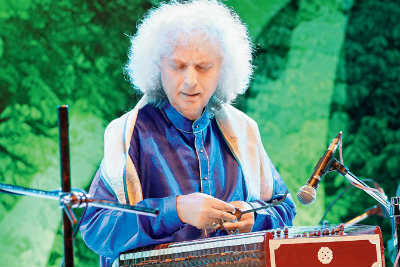 After in-depth reasearch, Pandit Uma Dutt Sharma had decided that his son Shiv Kumar should be the first musician to play Indian Classical Music on the Santoor. Beginning his learning journey at the tender age of five, Pandit Sharma, a Kashmiri Pandit, who hails from the state of Jammu and Kashmir, went on to become the greatest ever artist to present to the world, the novel wonder of Santoor! It is just a state of absolute bliss and musical delight when Panditji performs live! His path-breaking compositions in various ragas always make for the consistent staple for the average music lover! Pandit Shiv Kumar initially used to play the Tabla and also perform vocals, but he was probably the Destiny's chosen one, as he could realise the higher calling and thus set out on journey which no one else could before and the rest is there for the world to see! For his immense contribution to the world of music in the form of his personal compositions as as well as innumerable live shows, concerts and programmes, Pandit Sharma has been conferred with the Padma Shri award in 1991 and the Padma Vibhushan in 2001 and is also a recipient of various other awards. Birth Time :- 14.30 Hrs. Pandit Shiv Kumar is born with an exalted Moon along with Ketu in Taurus Ascendant. The Ascendant Lord Venus is posited with his Natal Mercury and the Sun in the 8th House and it is to be noted that, though this combination takes place in the 8th House, it is a union of the Lords of the Ascendant, the 4th House, the 2nd House and 5th House. This in itself results into a very potent configuration of the planets. His Natal Jupiter, the lord of the 8th House, as well as the 11th House is posited in the 9th House of fortune. His Natal Mars, the lord of the 7th House and 12th House is posited in the 10th House. His Natal Saturn, the Lord of the 9th House of fortune is in the 11th House. 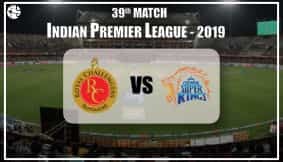 A remarkable point here is that there is an exchange of Houses between the Lords of the 9th House and 11th House – Saturn and Jupiter respectively and this results into the formation of the Parivartana Maharajyoga! His Natal Jupiter, Mars and Saturn, from their respective positions, are aspecting the Moon and Ketu in the Ascendant. Pandit Shiv Kumar's Venus , the lord of his Ascendant is the planet of music and arts placed with Mercury the planet of skill and versatility, and the Sun the planet of rise and shine in the Jupiter's sign of expansion Sagittarius. All the three planets posited in their friendly sign. Ganesha says that for a Santoor artist, the skill of hands is one of the most important aspects that comes into play. And in Astrology, the 3rd House signifies the skill of hands, and interestingly, in Pandit Sharma's case, the Moon, which happens to be the Lord of the 3rd House is placed in the Ascendant itself and that too in its Sign of exaltation! This strong disposition of the Lord of the 3rd House along with the other strong planetary placements in his Chart, has enabled Pandit Shiv Kumar to use his magical fingers for great performances on the Santoor. His Ascendant is Taurus and it happens to be the Vargottama Lagna for him. This shows that he is person blessed with natural artistic brilliance and creative abilities. Music is surely dear to his heart. Thus, we can observe that the Sign of Taurus and the qualities denoted by it are strongly emphasised in his Chart. Generally, the combination of the wonderful triumvirate – the Sun, Mercury and Venus is considered to be blessing for the people into the fields of art and music. In Panditiji's case, the combination of Venus and Mercury with a Vargottama Sun augurs very well for him. This also gives him a great voice. The well-placed Mars blesses him great popularity in India and also abroad. The aspect of the three planets – Jupiter, Mars and Saturn on the Ascendant and its occupants blesses him with extraordinary fame and glory. This is also one of the reasons behind his tremendous success and he happens to be the most revered and successful figure in the world of Santoor. There is beautiful exchange of signs in Natal as well as Navamsa Chart, Jupiter is in the Capricorn and Saturn is in the Pisces sign in Natal chart, where as Mars in the Taurus sign and Venus is in the Scorpio sign in the Navamsa. These exchanges of planets have made him restless,master in music and super player of Santoor and made him lucky enough to have number of recognitions, achievements and award to his credit. He achieved the unmatchable success in the world of music as vocalist and attracted the masses. Ganesha notes that there is an exchange between Jupiter and Saturn in the Natal Chart as well as the Navamsa Chart. Moreover, there is an exchange of Houses between Mars and Venus in the Navamsa Chart. These exchanges contribute tremendously to his phenomenal success and make him a supremely brilliant star in the world of Classical Music. Ganesha wishes good luck and an even brighter future to Pandit Shiv Kumar.